Roll up and ﬁnd out what's going on in the ring! We’ve had snow much fun this winter! Nothing stops us here at Circus Starr, we aim to help vulnerable children make life long memories no matter what the weather! And now fresh off finishing our most recent tour we feel we have done just that. In the winter we bring our shows indoor, meaning we visit theatres or school halls in a different community every single day. 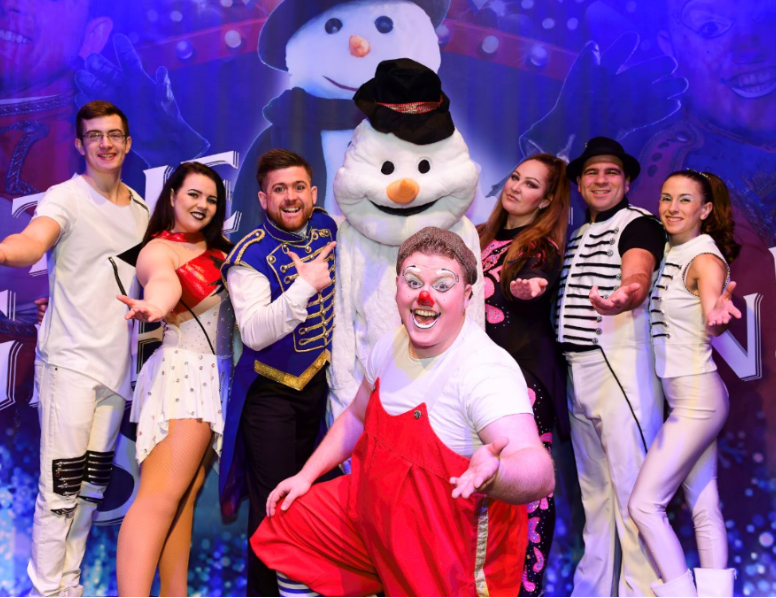 This January saw another fantastic run with our latest show, ‘The Greatest Snowman!’ which went down a storm. Thanks to the support of businesses throughout the UK we were able to provide free tickets to special schools and organisations, giving many families a chance to experience live accessible arts for the first time. Parents and children alike laughed at our hilarious clown Bippo and helped him on his quest to find ‘The Greatest Snowman’. Along the way our Ringmaster Joel Hatton introduced our audience to a variety of circus acts from juggling to the low wire, and generally tried his hardest to keep Bippo in check! A big thank you to all of the businesses who support our Winter tour and help us make a difference, without them our shows wouldn’t be possible. We look forward to starting our Spring tour in April 2019, to see where we are heading check out our tour dates or to support our cause call 01260 288690. If you would like your share you experience of a visit to our show please complete our feedback form or email sarah@circus-starr.org.uk .